October 3, 2018 (Notre Dame, Ind.) 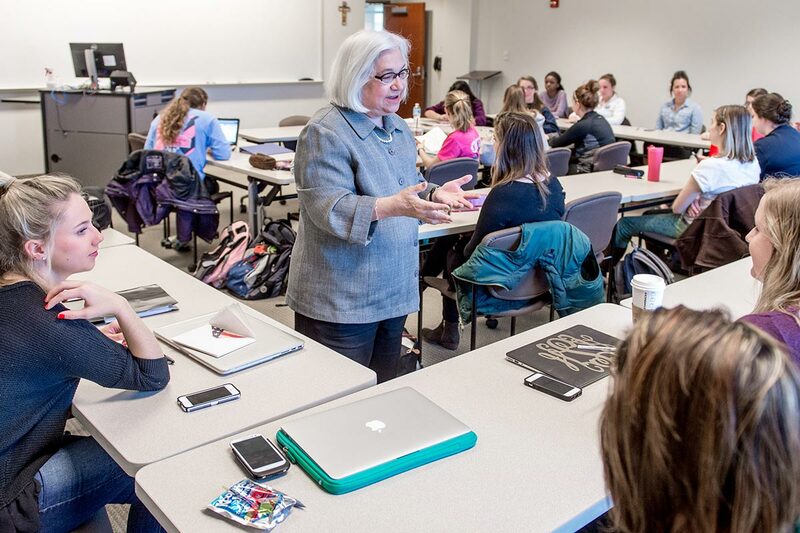 — Saint Mary's College is one of 12 institutions to receive federal funding from the US Department of Education’s Open Textbooks Pilot program grant. The $5 million grant was awarded to the LibreText Project, a non-commercial open textbook organization. The award, funded by Congress, is intended to decrease the burden of textbook costs on college students while increasing the availability, usage, and educational value of open textbooks that are freely available to download, edit, and share to better serve all students. With LibreTexts, students, faculty, and outside experts work together to build freely available open education resources (OER) that replace conventional paper-based textbooks. LibreTexts currently encompass 12 widely used college-level disciplines from chemistry to humanities with over 68,500 pages. Used across the nation as primary course textbooks and as supplemental learning resources, LibreTexts have already recorded more than 250 million pageviews with 650 years of confirmed student reading—an impressive track record on which the grant-funded project will build. Saint Mary’s plans to use the funding to allow faculty to create and adopt free textbooks for their courses to eliminate textbook financial barriers for students. Additionally, the funding will create jobs for students who wish to contribute chapters to LibreTexts. There will also be opportunities for students who are fluent in Spanish writing to translate articles into Spanish, so that any students struggling with English will have free resources to help them learn. Saint Mary’s faculty and students who are interested in becoming involved in this project will be able to apply for openings during the 2018–19 academic year and during summer 2019. Details about this application process will be announced at a later date.